Tiles are one of the most hygienic and easily maintained wall and floor surfaces you can choose. 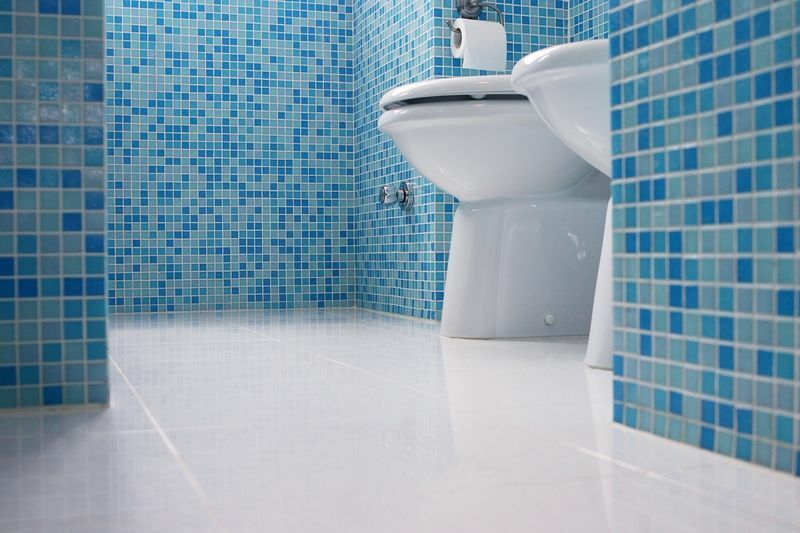 As they are virtually non-porous, tiles tend not to absorb any liquid, smoke, or fumes. In other words, it’s very hard to get tiles dirty and they will only need a quick clean once a week! Washing after laying - do an initial clean with a low PH stripper to remove cementitious residues such as grout haze and kiln dust, Aquamix have a fantastic product called Grout Haze Clean Up or an alternative option is Miracle’s Phosphoric Acid Cleaner. If the tile is polished porcelain, it may have a factory applied protective wax on the surface - this should be removed with a high PH cleaner such as Aquamix Heavy Duty Tile & Grout Cleaner or Miracle Finish Sealer Stripper. We always recommend you seal your grout with a penetrating grout sealer - a quick application can last years and makes grout cleaning and maintenance a breeze. 1. Vacuum or sweep the area. This will remove most of the dirt and grit from the area. As well as making the next step much easier, getting rid of these little abrasive particles will protect your tiles from becoming scratched - tiles can scratch! 2. Wipe down the tiles with a damp mop or cloth using a solution of warm water with a drop or two of vinegar or disinfectant added. Be sure not to use too much water and ‘flood’ the tiles, as this will just wash the dirt into the grout. A damp mop or cloth will easily be able to lift the dirt from the surface of the tiles. There is no need to use any soaps, detergents, powders, or chemical cleaners for regular cleaning. In fact, many of these can actually make it harder to keep your tiles clean, especially with prolonged use. If you do decide to use any of the above kinds of cleaners (such as for a more heavy-duty clean), it is important that you rinse thoroughly with clean water to completely remove the cleaner. Soaps (and many detergents that contain soap) can leave a thin film of ‘soap scum’ on the surface of your tiles if they aren’t completely rinsed. This layer of soap can ironically - trap dirt and grease and can build up over time to the point where your tiles actually appear to change colour. Many chemical cleaners are either acidic or alkaline (base) and, if not properly rinsed, can damage the surface of your tiles or later react with dirt and grease to cause other problems. If you require something a bit stronger for problem areas we generally recommend Aquamix Concentrated Stone and Tile cleaner or Miracle Tile and Stone cleaner. Wet areas such as showers have slightly different cleaning needs as they are regularly subjected not just to moisture, but often to body oils, soaps, and higher amounts of dirt as well. A good all-purpose cleaner, a plastic scrubbing brush, and a little elbow grease will remove most regular build-up. Remember always to rinse thoroughly after use of cleaners. A water and vinegar solution is ideal for removing more stubborn hard water deposits. Again, cleaning once a week will generally be often enough. Bacteria and mould can sometimes grow in damp areas, particularly where it is also humid or there is little ventilation. Mould can be removed by spraying or wiping with a chlorine bleach. This should be allowed to stand for 5 minutes before rinsing thoroughly with clean water. Aquamix and Miracle products are available at your nearest Tile Depot outlet. Always read the manufacturer’s directions carefully.